Has hosted 10 World Series. 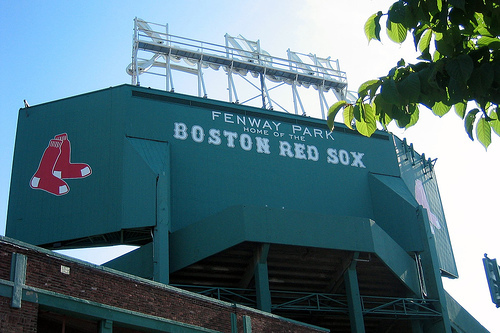 Fenway Park was designed by the same firm that designed Yankee Stadium, the Osborn Engineering Company. The park’s peculiar size and shape were determined by the surrounding city streets. 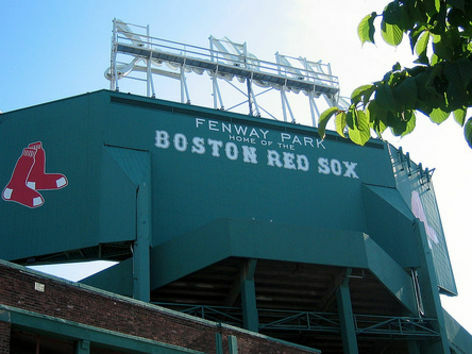 The 37-foot-tall left field wall, known as the Green Monster, compensates for the short depth of left field. The other thing that’s so interesting too about Fenway Park as architecture is that it’s urban fabric, it’s all context. It’s not like you can see, with some stadiums where you get a sense of the thing in its totality...It’s very difficult except from the air to really get a feeling of Fenway Park as a whole building. Otherwise, it’s just part of the urban fabric that contains this marvelous space, because it isn’t even particularly big compared to contemporary ball parks. You can walk around that part of Kenmore Square and aside from the light poles and a couple of blank walls you almost wouldn‘t know it was a ballpark. Fenway Park is one of those experiences not reinvented...but as an authentic period piece like Wrigley Field and is utterly brilliant at that level. Architecturally, I don't know, as an architect I can't say, I'm also a baseball fan and I have a hard time bringing the two together except for the authenticity of an earlier time, that's all. The public values the experience in the vessel of architecture as much as the architectural expression of that vessel. The odd thing about Fenway, is that probably of the top 150 buildings that we’re dealing with on the list, this one exhibits the least sense of intentional design by one hand.